Kodak used Yellowfin to create an analytical application for thousands of customers worldwide. About a year ago Kodak approached Yellowfin about an embedded analytics partnership supporting their large-scale printing customers. They have thousands of customers worldwide, most are are large-scale print houses. 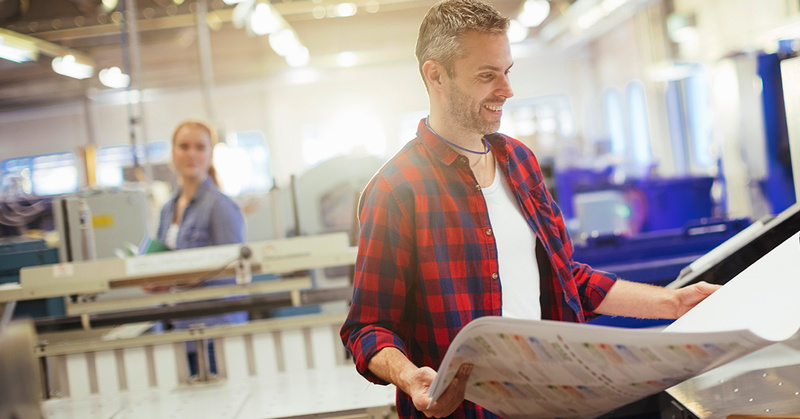 Kodak saw huge value in helping their customers understand how they could optimize their printing processes. They wanted to embed dashboards and analytics into their product so their customers could optimize how they used Kodak’s platform. Kodak looked at a lot of products in the marketplace and finally settled on Yellowfin. They had a clear understanding of what behaviors they wanted to drive, how they wanted their end users to interact with the data, what they wanted to learn, and how their customers could potentially optimize their businesses. This made working with Kodak particularly exciting. They knew precisely what they wanted to do and how they wanted to do it. They just needed a platform that was flexible enough for them to be able to achieve that outcome, and that’s what they got from Yellowfin. To achieve their goal, Kodak created an analytical app. This embeds analytics into Kodak’s product to help their customers achieve very specific outcomes and essentially drive behavioral change. Analytical apps are part of a broader trend that we’re seeing, not only with software vendors but with specialist vertical vendors. Organizations are building analytical apps to support the needs of a particular segment or audience. Kodak’s customers could have built their own analytics, but this would have meant that 2,000 organizations with limited specialist expertise would have been handcrafting analytics. Instead, Kodak chose to take its expertise in printing and understanding of their customers and create something that enhances their customer’s experience. By leveraging their knowledge they’ve built a platform that delivers valuable insights to their customers. We’re seeing that vertical solutions like this are becoming more common. Sector experts understand their space best and realize that they can use this knowledge to give insights to everyone in their space simultaneously. Whether you’re running a large-scale printing business or a hospital, you generally have similar metrics to everyone else in your industry. There’s no need for every individual business to create their own analytics. If one person in the industry has the knowledge, they can build an analytical application that gives insights to everyone in their field simultaneously. This analytical application is then often embedded inside existing industry-specific software or workflow management solutions. Kodak is currently rolling this app out to about 2,000 customers globally, and the feedback has been phenomenal. Their customers haven’t had detailed analytics about their printing before. While they may have previously conducted some analysis by reviewing invoices, they can now access real insights into the kind of jobs they’re running, the cost of those jobs, and the time it takes to complete them. This means these organizations can now optimize their own businesses. They can decide how to best run their print jobs and control their business, costs, and timelines. One of the reasons this project has been such a success is the way Kodak approached it. They had a really clear understanding of what they wanted to deliver, how they wanted to deliver it, and when they wanted to deliver it by. They were also well prepared, resourcing the project effectively and working in collaboration with our team. This level of focus and attention ensured that their end customers received a polished product that was exactly what they needed. This partnership reflects the value-add that is created when organizations like Kodak create analytical applications. They’ve got 2,000 customers who now have immediate access to best practice analytics and insights. Kodak was committed to adding value to a huge number of customers very quickly, and that’s exactly what they’ve achieved. It’s been a fantastic project to be involved in, and one that’s a clear proof of concept for analytical applications as a whole. As a result, we’re now working with Kodak on other potential apps, and considering how we can help other customers leverage their broader industry knowledge. 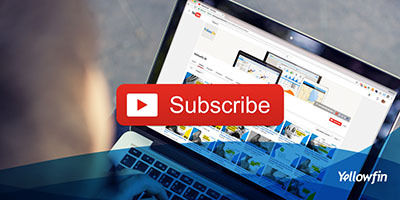 Find more of CEO Glen Rabie’s stories of Yellowfin BI on Yellowfin’s YouTube channel.